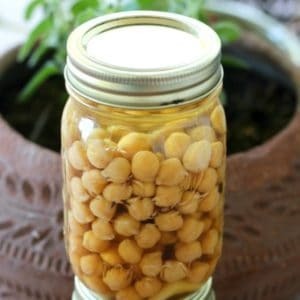 July 12, 2017 0 comments on "Canning Garbanzo Beans (Chick Peas)"
If you like to can, and you also like homemade hummus, than you should try canning garbanzo beans so that you always have them on hand when you want to make hummus. 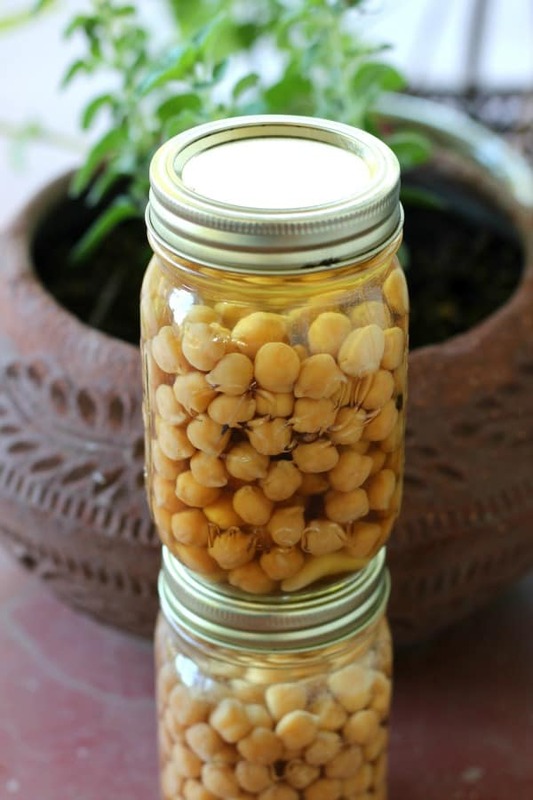 Canning your own beans is much less expensive then buying precooked beans. You should be able to find garbanzo beans (also called chick peas) in a store that sells bulk foods, like WinCo or a health food store. This recipe is not difficult, but there are several steps to it. You will need to soak and slightly cook the beans before you pressure can them. Place the dried beans in a large stock pot and add water so that there is 2 inches of water above the beans. Bring the beans to a boil, and boil for 2 minutes. Remove the pan from the heat, place the lid on the pan, and let it set for 1 hour for the beans to soak up some of the water. Place the beans in sterilized pint sized canning jars, filling the jars approximately 3/4 full (beans will expand a little more during the canning process). You will need approximately 9 jars for this recipe. To each jar add 2 cloves garlic and 1/4 tsp. salt. Ladle the hot water from the pot of beans into the jars, leaving 1 inch head space. If there is not enough liquid in the pan, then add additional hot water from your kichen faucet. Wipe the rims of the jars with a damp towel or paper towel and place sterilized lids and rings on jars. Process jars in a pressure canner at 10 pounds pressure for 75 minutes for pints or 90 minutes for quarts. Place the contents of the jar, lemon juice, tahini, water, and olive oil in a food processor and process until smooth. Add additional salt and lemon juice to taste. If hummus is too thick, add a small amount of water until it is the desired consistency.